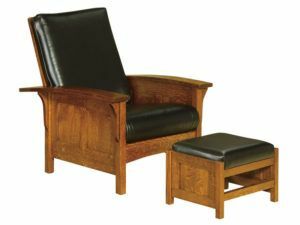 When browsing the Sitting Chairs collection in search of the perfect chair, find the Amish sitting chair you like best. Then let us customize it for you. Just tell us the wood specie you want. 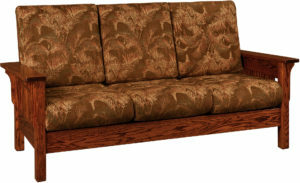 Also let us know your preferences for stain and fabric. And we’ll create a unique Amish sitting chair to add to any room in your house. 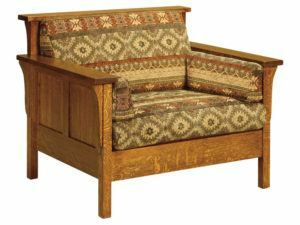 The beautiful Amish Bow Arm Chair is a perfect furnishing for any home. 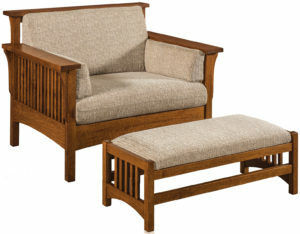 Beautiful bowed arms are featured in the Bow Arm Panel Morris Chair and Footstool. Sturdy wood slats accent the classic Bow Arm Slat Chair. Fine craftsmanship ensures that the Bow Arm Slat Morris Chair and Footstool will be a cherished furnishing for generations to come. 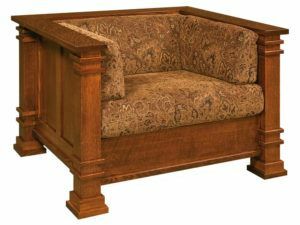 Come home and lie back in this Clearspring Panel Morris Chair and Footstool featuring the 3-Step Reclining Adjustment and panel sides. 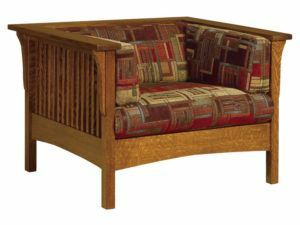 Sit back, relax and sink into this Clearspring Slat Morris Chair and Footstool featuring wide slant arms and slat sides. 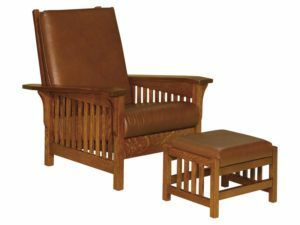 With your choice of fabric or leather, you can’t go wrong with this Cubic Panel Chair featuring Quarter Sawn White Oak wood and rectangle side panels. 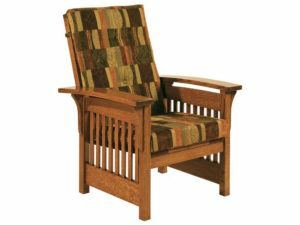 This Cubic Slat Chair is comfortable and the ideal choice for you to lie back in and enjoy your favorite TV show. 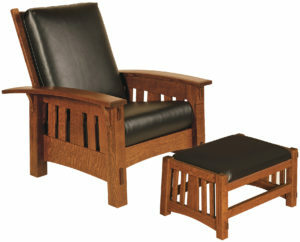 Sunning design and elegant construction meet in the Deluxe Hickory King Chair. The American-made Diamond Chair boasts an inspired design and a timeless beauty. 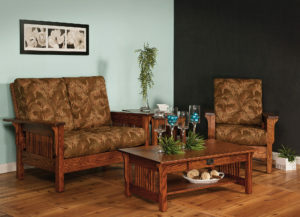 Brings the warmth of handcrafted furniture to your home with the Durango Chair. 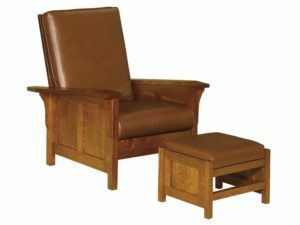 This Durango Morris Chair features wide bow arms, Webbrider Coil Springs, and leather cover. It will put you at ease after a long day. Take it easy as you sink into this comfy Highback Panel Chair featuring high back panels and modern fabric. 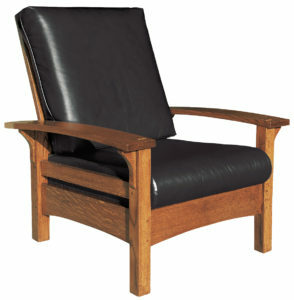 This Highback Slat Chair features beautiful Mission slats and Quarter Sawn White Oak wood. 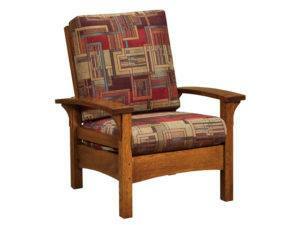 The McCoy Morris Chair has clean lines and a rich style and offers a recline option. 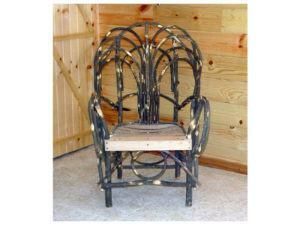 Sitting Chairs have a rich tradition as important home furnishings for social gatherings. The sitting chair is a comfortable place in the living room to read a good book, watch TV or enjoy pleasant conversation. 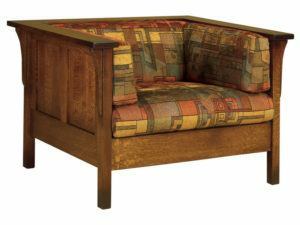 Living room furniture has always played an important social role — from large dining tables to beautiful loveseats. 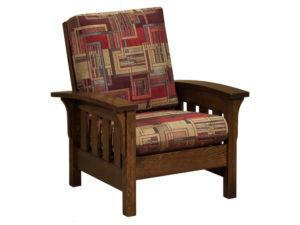 So browse our Amish sitting chair collection to find the correct one for your space. Also, look through our complete Living Room collection to decorate your entire space with customizable, stylish furniture pieces. All are handmade by Amish artisans and can be customized in many ways to match your style.